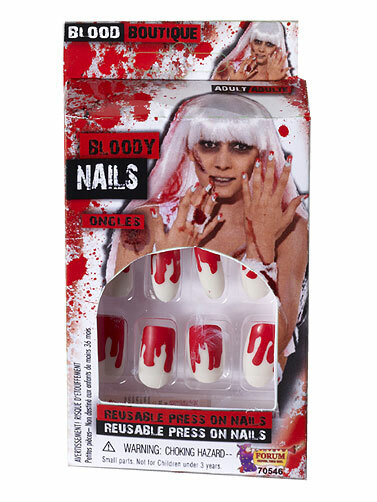 These bloody press on fingernails are sure to get under someone's skin and will compliment a number of Halloween costumes. Reuasable. Bloody Press On Fingernails includes 14 nails and 24 adhesive tabs.